The global tragedy that unfolded on Monday in Paris led to the loss of a huge number of historical and cultural values. One of the most famous buildings in the world, Notre Dame Cathedral was partly destroyed as a result of a fire that ran through the building where repairs works were carried out. The restoration of the cathedral will require millions of euros. A group of French Bitcoin supporters led by the leading Bitcoin podcast Gregory Raymond plans to make a contribution to the restoration process of the cathedral. "President EmmanuelMacron has announced a subscription to rebuild Notre Dame. Hey bitcoiners, let's prove to the French authorities Bitcoin can be an amazing way to send funds quickly, without border and for a good cause ! bitcoinfornotredame 1JX3k1e1acXENqoKqaAtKKEdE9C2j4WsDB" - wrote Gregory Raymond. 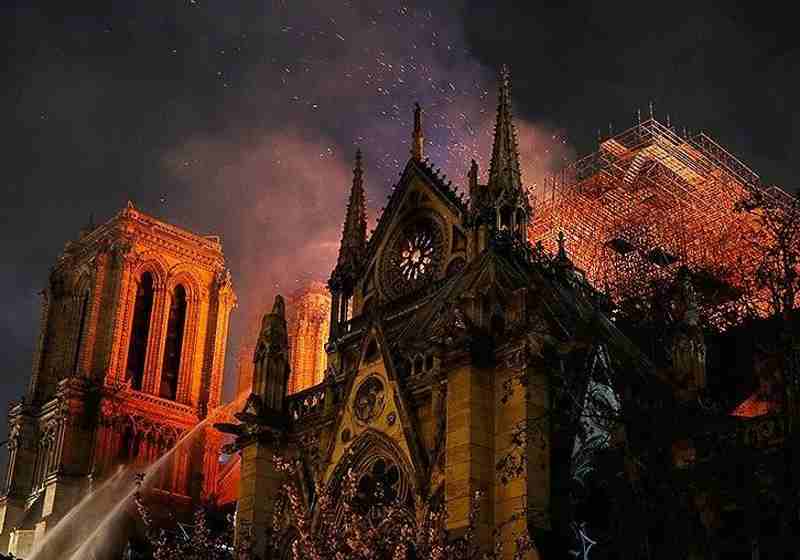 The appeal points to the call of Macron to immediately begin elimination of the consequensces of the extensive damage, including the completely lost roof and spire of the cathedral. Raymond's tweet notes that bitcoin can be used for the benefit, and not only for criminal purposes, as regulators and skeptics often say. Raymond’s call was immediately answered by numerous crypto enthusiasts who, among other things, offered to switch the wallet used for donations to an address with several signatures to ensure that funds would achieve the destination. Currently, 0,02760433 BTC from 11 crypto users has been donated. The funds are transferred to the following address: 3PxExW3bKza9SbYzdBLwvALbvX4yMDfLyX. Raymond's purse is controlled by L Cercle du Coin and David Prinçay, another loyal supporter of bitcoin from France. Along with this, it was also announced another event aimed at supporting reconstruction of the French heritage. The international blockchain event called Blockshow has reportedly launched a campaign to attract funds for reconstruction of the Notre Dame cathedral. "We Announce a Fundraising Campaign for the #NotreDame Reconstruction," event's Twitter reads. The initiators of the event have announced addresses for two crypto wallets for Bitcoin and Ethereum donations, while fiat donations can be made at the website Foundations Du Patrimoine. The Arca project dealing with digital asset management has reportedly filed an application for bond fund license with the US Securities and Exchange Commission. The company is seeking a launch of the fund with shares to be based on Ethereum blockchain and backed by the US Treasuries. The new investment fund called Arca US Treasury Fund will be ERC-20 token having features of USD-pegged stablecoin. The cryptocurrency trading platform Gate.io has reported completion of its 7-day fundraising campaign with $64 million, which will be allocated for the development of internal token. The initial amount of orders for subscription for so-called Gate Points exceeded the initially planned level. In total, orders amounted to some $2.99 million.